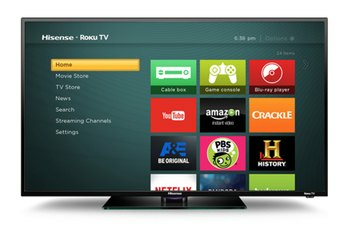 The 40H4 Roku TV is an affordable option, especially considering the included Roku capabilities. 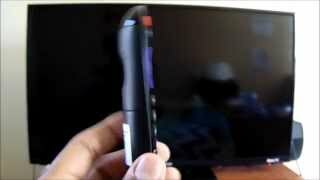 The Roku interface itself is easy to navigate and use. 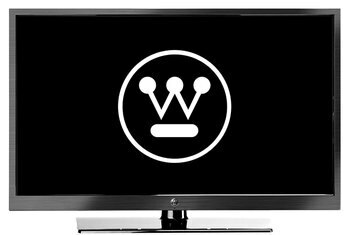 You'll find plenty to watch thanks to all the Roku channels available. Despite its ease of use, the 40H4 Roku TV lacks advanced picture controls. While contrast levels are good, colors appear more muted than they should. No Ethernet port means you have no choice but to use Wi-Fi for the Roku features. Hisense's 40H4 Roku TV is effectively a Roku box and a 40-inch HDTV all in one. With it, you can stream video from a wide array of online channels in addition to traditional sources. 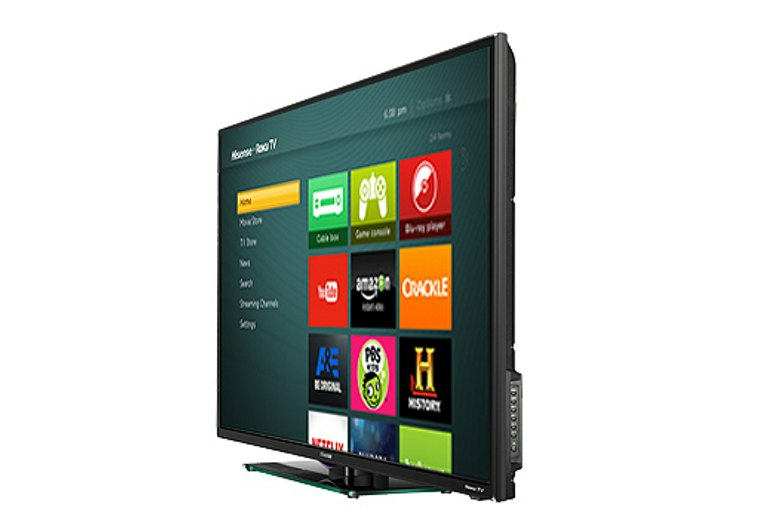 Spec-wise, the 40H4 Roku TV features 1920 X 1080 full HD resolution, LED backlighting, and 3 HDMI ports. Roku and Hisense have succeeded where other smart TVs have failed. 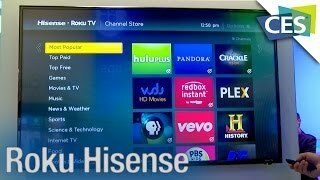 That is to say, by adding Roku's features to Hisense's $350, 40-inch H4 Series, this set is a lot easier to use and more streamlined than any other connected TV on the market. 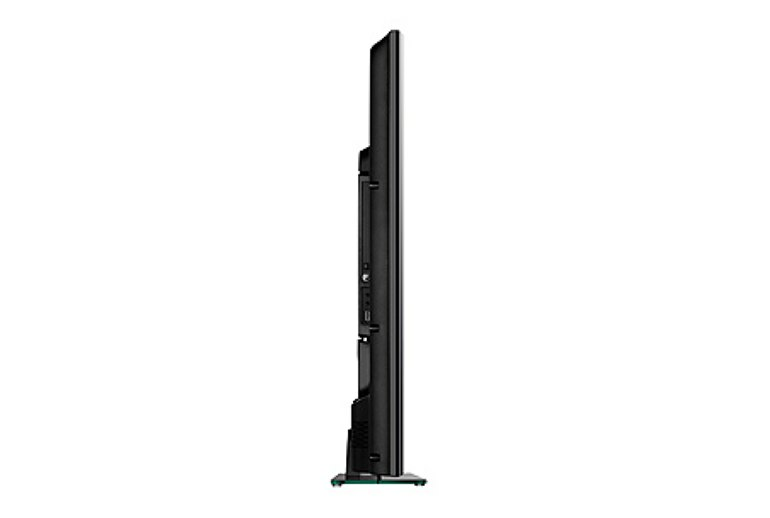 This Hisense TV does not hit all the highest marks. However, if you want a smart TV with one of the best and most intuitive app interfaces at an entry-level bargain price, the Hisense Roku TV is the way to go. 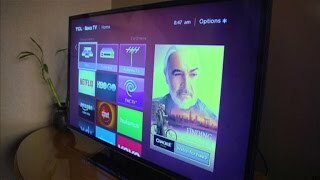 The Roku interface extends to controlling the screen itself, integrating inputs like content channels on the main menu. This makes the experience very friendly and consistent across the board, but the simple design will be stifling for TV power users; the 40H4 lacks all but the most rudimentary picture adjustments.